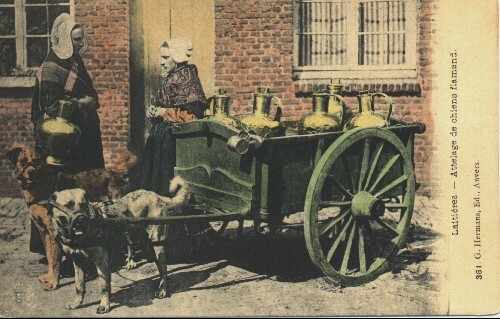 Most pictures are of dogs pulling milk wagons, others appear as general transport, circa 1910. 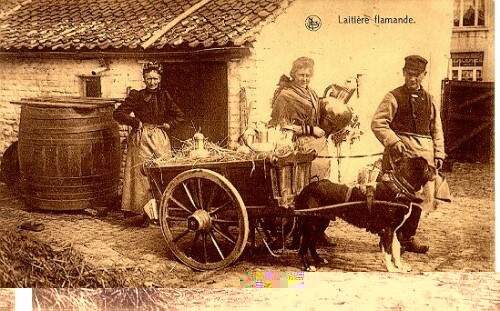 By clicking image you will be taken to a full view of that picture. 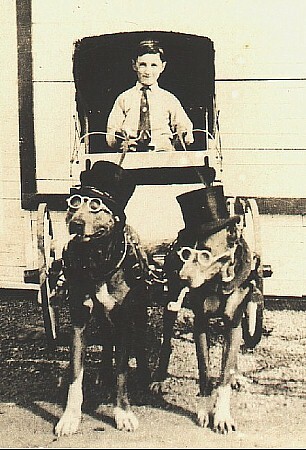 Four dog team with inspector. 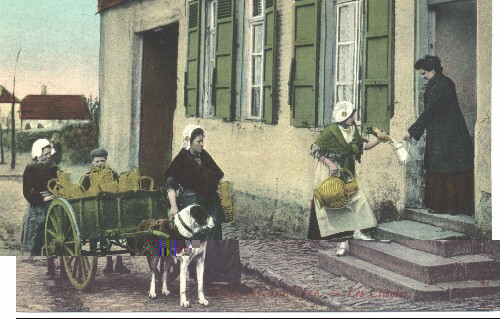 Lady and two dog team. 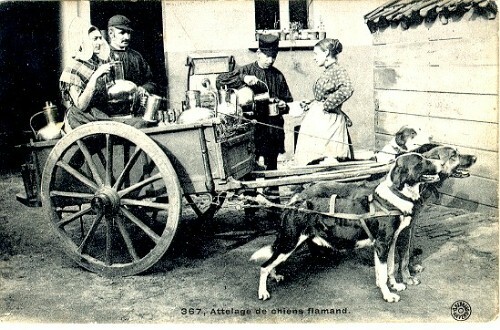 Two dogs, woman & inspector. 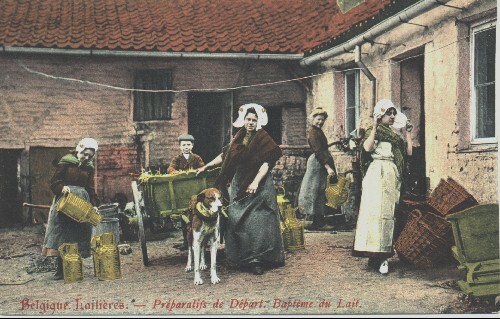 Saint Bernard team with boy. 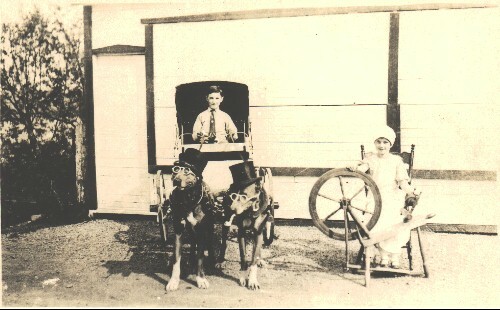 One dog cart with boy. 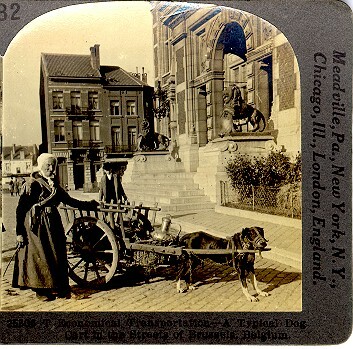 Woman, girl & dog with cart.